con·tempt /kənˈtem(p)t/(noun): The disregard for something that should be taken into account. Yeah... We all constantly disrespect You, God, on a daily. And honestly, some of us might be in denial about it too. I always fall short of the amount and type of love that I, the created, should be showing You, her creator. One who knows his daughter more than her earthly tribe or even her parents. There's always this feeling where I catch myself (within the routines of life) not giving You the full attention You deserve (Because, You know, YOU don't "need" anything) from me. I feel guilty for a while. Then I remember the constant grace You show me on this other level where I am covered by the blood Your Son Jesus shed on the cross. And I finally try to do my part in pulling myself back into the harmonious walk I had with You before this set-back. Its a daily battle of my spirit against my flesh and "the spiritual forces of evil in the heavenly places" (Ephesians 6:12). We disregard the right that we should be doing because we ignore what the spirit is telling us and thus allow the flesh to lead us fully. We often allow our nature to lock us into a mode to be fault-finding and harsh when we feel threatened, even against the people we love that we never thought we would hurt. Its so easy to forget that there is power found in the Holy Spirit to refine our human nature. "Doing damage to your Christian state of mind"
Revenge is a powerful drug. Especially in a world that tells us to look within our imperfect and often distressed selves to find growth/peace/direction. We get obsessed and wrapped up in putting ourselves first no matter the cost of the people around us. No wonder I get so defensive even when i know for sure I'm in the wrong. I automatically lock into my feelings and go all the way in my mission to hurt whoever has hurt me. Sometimes going as far as leaving unintended causalities along the way. In my lifetime I've learned that immediate emotional satisfaction can't be counted on...Focusing on ourselves and not on You, God, the one who knows what we need BEYOND our need to be justified. Because there is more to this painting than just the corner we obsess over. Daily Mantra: Making the conscious effort to trust the One who has more insight on what's going on in my life and the lives of others around me, to act justly for the good of everyone (including me) and everything He has created. Sometimes you just gotta tell yourself to let it go already! 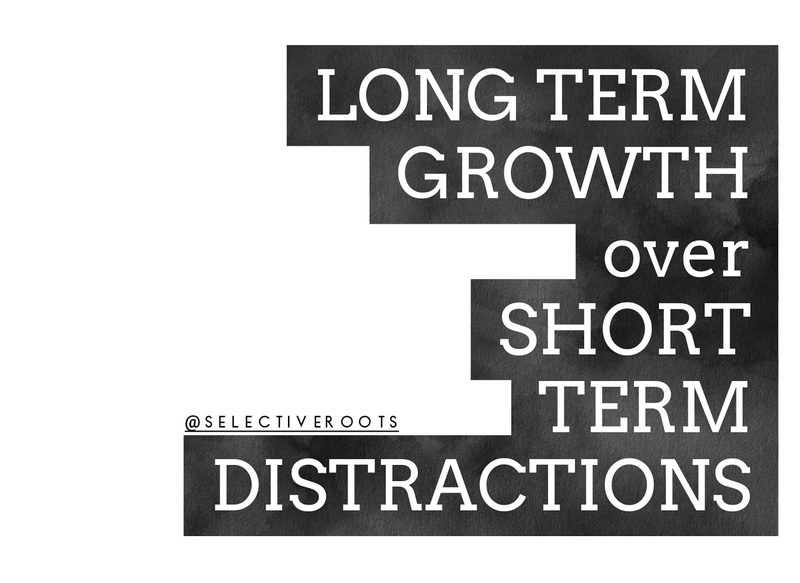 Then CHOOSE to focus your efforts on long term growth. Not this silly short term distraction that's stopping God from using you effectively in His plans.